This month we caught up with an absolutely stunning bride of ours, Julia! Julia is getting married in November in Sydney and although we can't give the details of her dress till after the big day, we can say she looked absolutely AMAZING in it and we cannot wait to see photos of her on the big day! Q. So Julia, when you started dress shopping did you have a specific style in mind or were you open to suggestions? A. When I started dress shopping I had no idea where to start. I felt a bit nervous to be honest. If you'd put a dress in front of me I would have been able to say yes or no, but in terms of a particular style, I just couldn't narrow it down. I was definitely open to suggestions! Q. How many dresses did you try on before you found 'the one'? A. I would say I had tried on at least 15 dresses before finding 'the one'. I think it was important for me to try on different styles since I didn't know which would suit my body shape best. After about 10 dresses, I knew which style I wanted. Q. Were your family and friends' opinions important to you on your chosen dress or were you happy to just make your own choice? A. I value my family and friends' opinions very much, however in this instance it worked against me. I knew the dress I wanted, however hearing everyone else's opinions made me doubt my own. They all had the best intentions but in the end I had to block everyone out and choose the dress I loved the most! Q. What would your top tips be to brides currently looking for their dream dress? A. My advice would be to stay true to yourself and your own style in the dress that you choose. Be open to other's opinions but don't let them shadow your own. And have fun! Q. How was your experience at Louise Perry Bridal? 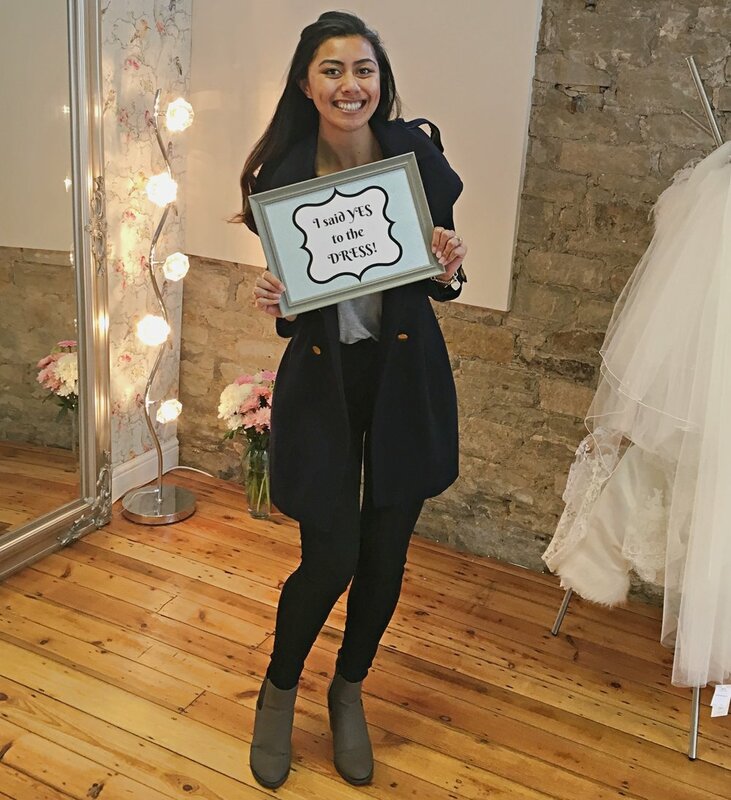 A. I loved my experience at Louise Perry Bridal, from my first visit it felt very warm and welcoming! Louise and Hannah are so lovely and have a lot of experience to offer when looking at dresses. Louise's dress range is really unique with so many stunning gowns I didn't see anywhere else.